As indicated in the post below by IntLawGrrls contributors Sarah Paoletti and Nicole Phillips, despite pledges of $10 billion in aid, many Haitians struggle to survive in the face of forced evictions, a raging cholera epidemic, and rampant gender-based violence. ► Half a million people continue to live in camps, some without running water or electricity. Moreover, many of these people are fighting to remain in even these substandard conditions. In the year following the earthquake, 34% of people living in camps were forced to leave those shelters as the result of evictions. The right to housing is guaranteed by several human rights instruments, including the Universal Declaration of Human Rights (art. 25) and the International Covenant on Economic, Social and Cultural Rights (art. 11). While these instruments often recognize that housing rights may be subject to State resources, they do proscribe the kinds of evictions – often by force and without adequate notice or compensation – seen in the years following the earthquake. 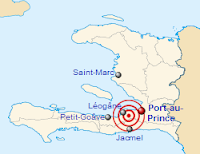 Indeed, on November 15, 2010, the Inter-American Commission on Human Rights granted precautionary measures for residents of camps located on private and public property in Haiti. The Commission called for the Government of Haiti to, inter alia, halt evictions pending the inauguration of a new government and ensure that those who had been evicted obtained remedies in court and were relocated to places with minimum sanitary and security. ► Fully 7,000 people have died and another 520,000 have become ill from cholera. On November 3, 2011, 5,000 cholera victims filed a claim for reparations with the Claims Unit of the UN Stabilization Mission in Haiti, or MINUSTAH. Represented by the Institute for Justice and Democracy in Haiti, for which Nicole is a staff attorney, claimants alleged that the outbreak was triggered by the Mission's negligent, reckless, and deliberately indifferent mismanagement of its own sanitation facilities, which were used by Nepalese peacekeepers who harbored the virus. ► Women and girls face a near-constant threat of sexual violence due to insecurity in camps and impunity from the criminal justice system. These conditions implicate women's rights to life, humane treatment, personal liberty and security as enshrined in human rights instruments such as the American Convention on Human Rights. Indeed, on December 22, 2010, the Inter-American Commission granted precautionary measures for all displaced women and girls living in Haiti's camps. The Commission called upon the Government of Haiti to, inter alia, ensure the availability of adequate medical and mental health care to survivors of sexual violence, increase security in camps, and train law enforcement to investigate incidents of sexual violence. Despite this grant, women and girls in Haiti continued to suffer sexual and other forms of gender-based violence at alarming rates last year. Immediately following the earthquake, the international community vowed to help Haiti "build back better." While the actual distribution of promised aid would certainly help alleviate some of the suffering in Haiti, long-term progress for the country's poor hinges upon the respect, protection, and fulfillment of human rights guaranteed in numerous international and regional human rights instruments. That is a goal of the Universal Periodic Review process that Sarah and Nicole discuss below. ► Institute for Justice and Democracy in Haiti/Bureau des Advocats Internationaux: litigating cases, as mentioned, and organizing civil society around issues such as accountability for gender-based violence, housing rights, improved prison conditions, and redress for the cholera epidemic. ► KOFAVIV ("Commission of Women Victims for Victims"): providing direct support to women who survive sexual assault and, together with MADRE, advocating for improved security in Haiti's camps. ► Alternative Chance: working in Haiti's prisons to provide health care, peer counseling, and advocacy to detainees who are routinely denied due process rights. ► FAVILEK ("Women Victims Get Up Stand Up"): representing women who survived political violence by mobilizing for justice and reparations. These are just a few groups – comprised of Haitian lawyers, organizers and activists – who are working toward the realization for human rights in Haiti. Many worked for social justice in Haiti for years prior to the earthquake. In light of the continued suffering since 2010, their work is even more daunting – and crucial – today.